On the cask engine today is Miss Fitz Belgian pale ale. Australian Ella & Victoria's Secret hops balance rye malts for hoppy spicy finish. 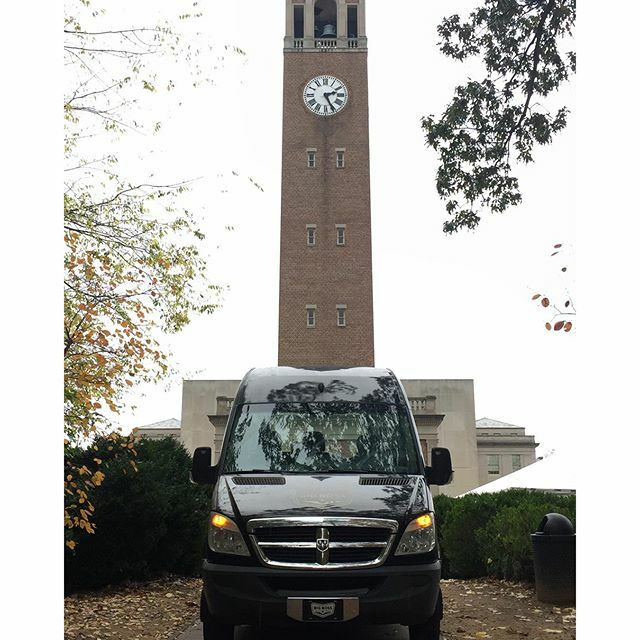 We found a great parking space for the big game. 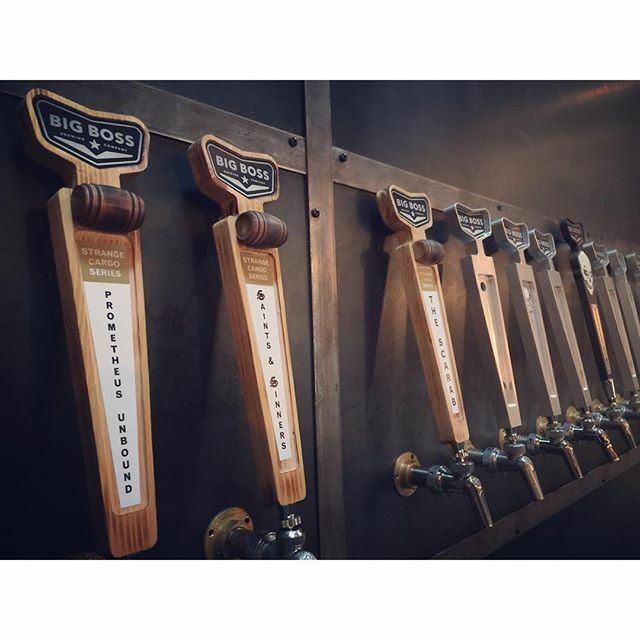 Our taproom is rocking 22 taps, with room for 30! CHEERS & NEW BEERS FROM OUR BREWING STAFF! These are small, single batch brews from our brewers. 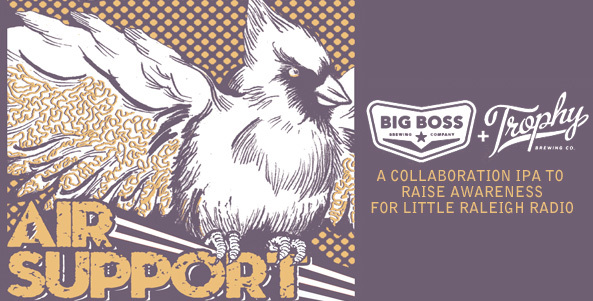 Join us at the BBB taproom or your favorite beer bar. BATTLE DRAGON Head brewer Bobby McInerny breathed fire into a rich, thick formidable stout recipe that comes in at a hefty 10% abv. MISS FITZ: This Belgian Pale Ale from brewer Chris Davis features a generous portions of Australian hop varieties Ella and Vic Secret and balanced with rye malt for an added spiciness to the finish. If you're a fan of Centaur and other uniquely hopped Belgian ales you need to find this. 6% abv. 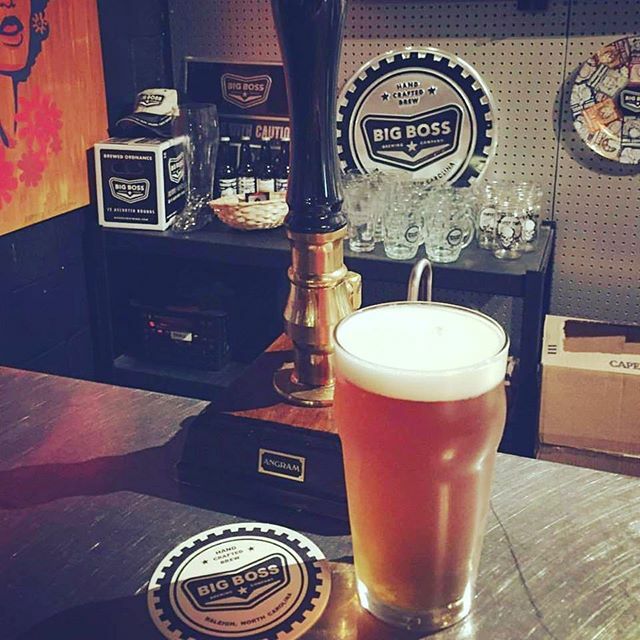 Tyler's of Apex celebrating BOTM in style with multi tap Big Boss line up and glassware for their guests each week. 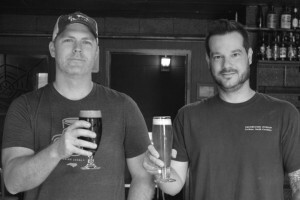 Staff from Apex brewed a special beer to be tapped later this month. IN THE TANKS: Tavern Ale, Aces & Ates, Air Support! Dave Rogers – Thank you for reading! WEDNESDAY: BREWERY NIGHT Flying Saucer Raleigh offers you a chance to keep this glass! They have cases of the Harvest Time mason jar starting at 7pm. THURSDAY! 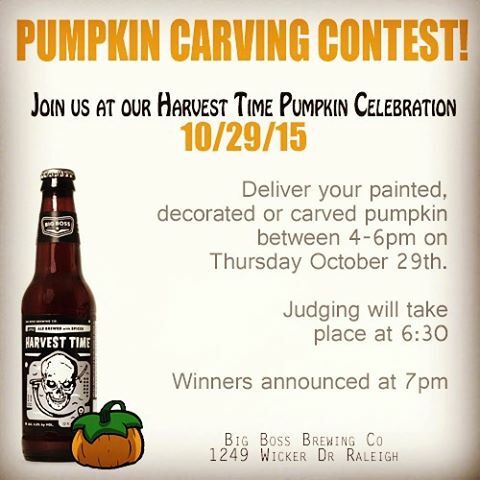 PUMPKIN CARVING CONTEST DETAILS Bring your finished pumpkin to the Harvest Time Pumpkin Celebration (mentioned above) to the brewery by 6pm on October 29th. 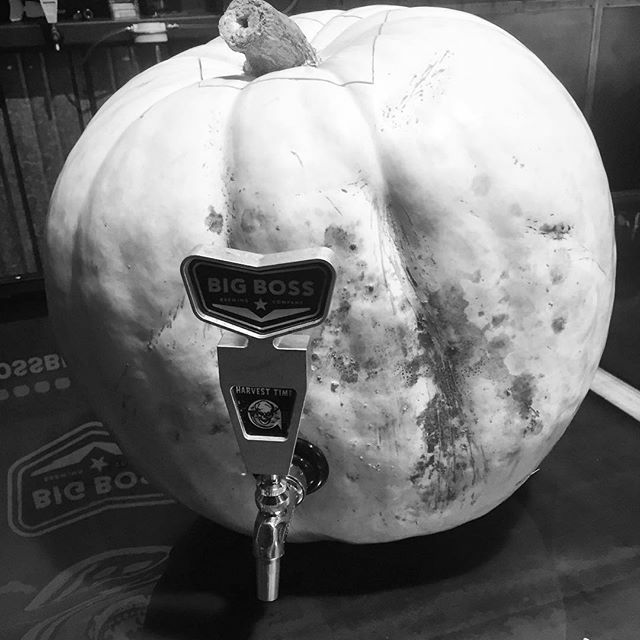 At 7pm Judges will announce First, Second and Third Place pumpkins with awards from Growler / pint glass set from Big Boss and other prizes from local retailers. We have prizes from Marbles Kids Museum, Shop Local Raleigh of course we have Big Boss! FRIDAY: HARVEST TIME FIRKIN It's the night before Halloween and we are tapping a cask of Harvest Time with Bourbon-Candied Pecans at Bottle Rev 3 at 4:30pm (7713 Lead Mine Rd #47, Raleigh). Trick or Treat! SATURDAY: HAPPY HALLOWEEN Enjoy a safe Halloween and look out to you local bar, restaurant or bottle shop for Bourbon Barrel aged Harvest Time tappings and make sure you enough Harvest Time in your fridge! Stock up at a local retailer or visit the brewery. 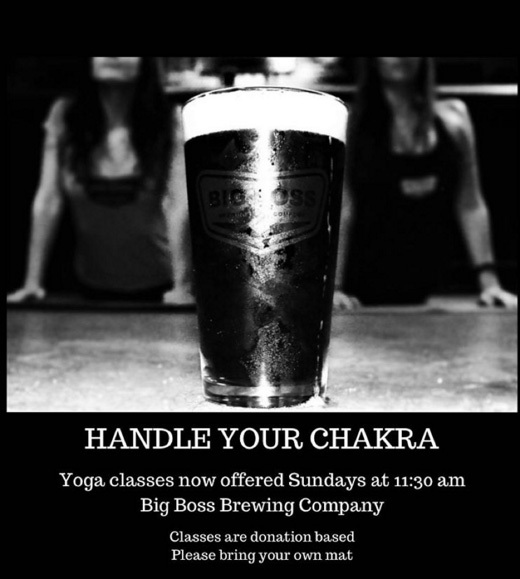 SUNDAY: YOGA This Sunday 1130am, donation based, bring your own mat (Handle Your Chakra). Dave Rogers – Don't feat the Reaper! 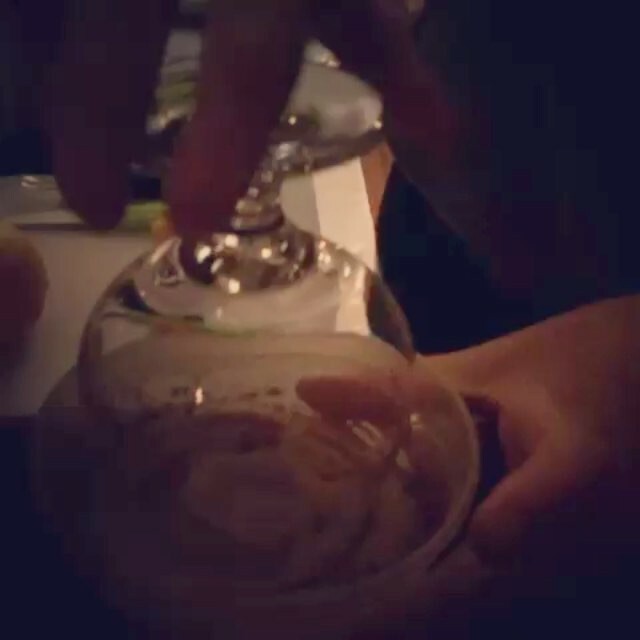 Drink the Reaper!